The west coast native continues his partnership with Converse. Earlier in the month Vince Staples shared dates for his upcoming Smile, You’re on Camera tour. Today the west coast native continues his partnership alongside Converse with a new iteration of the Thunderbolt OX sneaker. This time around the model welcomes a black base with black stitching throughout for a strong contrasting look. 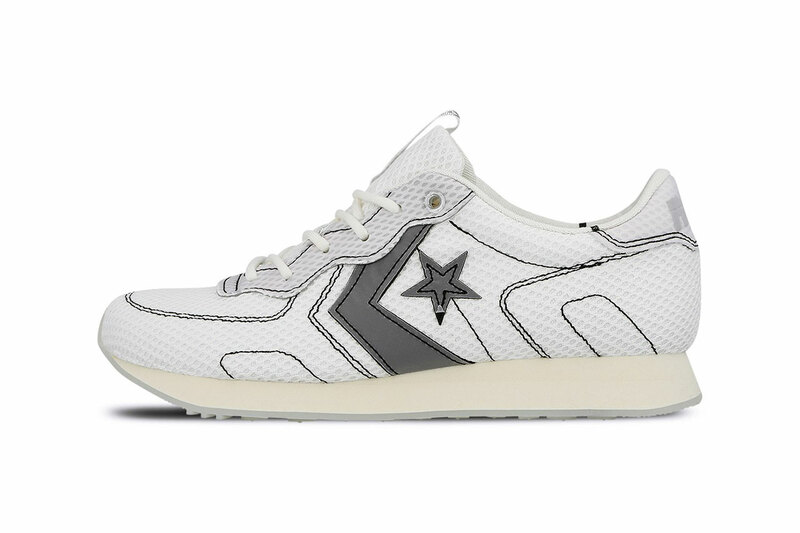 Aside from its white and black upper, you’ll find a small amount of grey on Converse’s Star branding. Lastly, the retro model welcomes “Sail” on its midsole with a rubber outsole that matches the aforementioned Converse branding. The Vince Staples x Converse Thunderbolt OX is set to arrive on December 18 for approximately $125 USD at select stockists such as Overkill. Vince Staples fans can also take a look at his contribution to the Spider-Man: Into the Spider-Verse film soundtrack. Complete with matching spraycan sneaker spray. Following a tease from pro-skater Paul Rodriguez. Boasting the rarest of the rare.